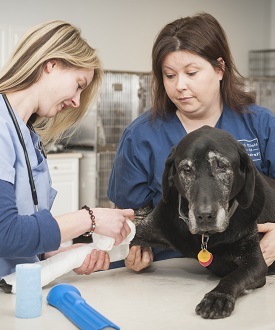 Animal Clinic of Woodruff is conveniently located near Roebuck, Woodruff, and the Dorman Community in and around Spartanburg, just off I-26 on Highway 221 heading towards Woodruff. We have a large waiting area, which makes it easy to keep animals separated. Our hospital also includes several rooms so your time spent waiting is minimized. You will be greeted at the front door by one of our friendly staff people to reduce any wait time and get you in and out as quickly as possible.